Kate Grana Music and Arts Association (KGMAA) is a 501(c)(3) formed in 2018. It's purpose is to review current technical and structural needs of the PHS Auditorium and Music Suite and to assist in fundraising for improvements in order to establish a center for Music and the Performing Arts. New seating, stage lighting, sound equipment and much more are all part of the dream to bring these long ignored areas of the Portsmouth High School into the 21st Century. Our vision is to build a creative and inspirational hub that will not only benefit the students of PHS, but the whole community. 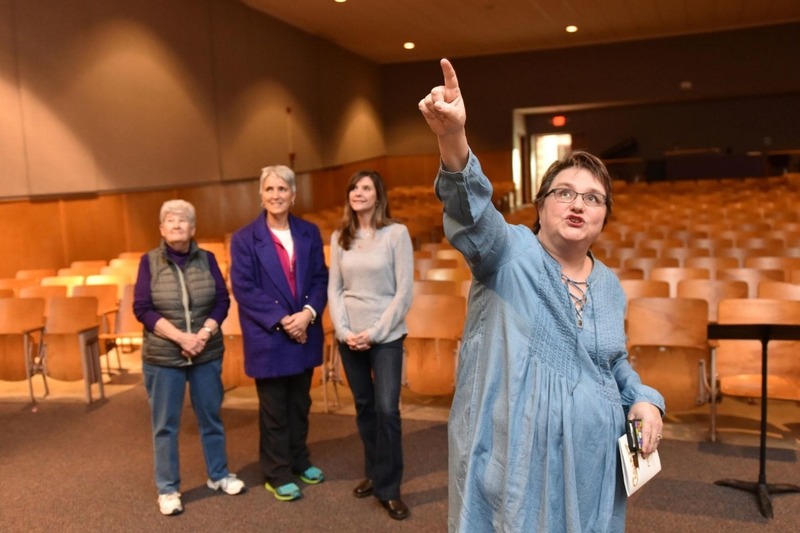 In recognition of Kate Grana and her decades of influence and dedication to Portsmouth, the new auditorium will be named in her honor.​ Learn more at KGMAA.org . Kate was a beloved educator in the Portsmouth School system for over 31 years, who passed away in 2016. In the course of her career at the middle and high schools, she inspired thousands of students as a singer, vocal coach, choral conductor, director, music teacher and mentor, offering caring advice and encouragement to her students, always with her trademark sense of humor. All donor's names will be enthusiastically added to our "Donors" page on KGMAA.org . If you would like to opt out of being listed, please donate as an anonymous donor, or simply send an email to infokgmaa@gmail.com.